After two solo releases on Lovefinger’s ESP Insitute, and two more 12” as Greenvision (his collaborative project with Trent) Juan Ramos graces Berlin’s Cocktail d’Amore Music with a new outstanding EP. “Incorporeality” and “Liquid Sky Drone” are both vibrant, hallucinating, trance inducing tracks. Full-on sonic layering and unexpected drum patterns compose these two bangers. Multidimensional is the right term to describe Ramos’ music. 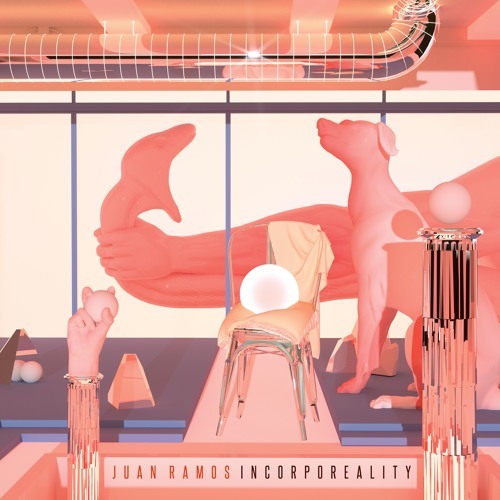 His futuristic approach, yet full of references from the past, is gaining a strong reputation within the contemporary electronic scene. Melbourne-Berlin based Kris Baha is on remix duties. “Liquid Sky Drone” becomes an industrial ballad - cinematic and romantic, at the same time bouncing and synthetic. Artwork by Boldtron, virtual reality artist based in Barcelona.